Once again food blogging has introduced me to something new. In this case Algerian Ramadan cuisine, which I had read about on La Petite Panière. Although the Ramadan is already finished for this year, this dish sounded so intriguing that I wanted to try it anyway. 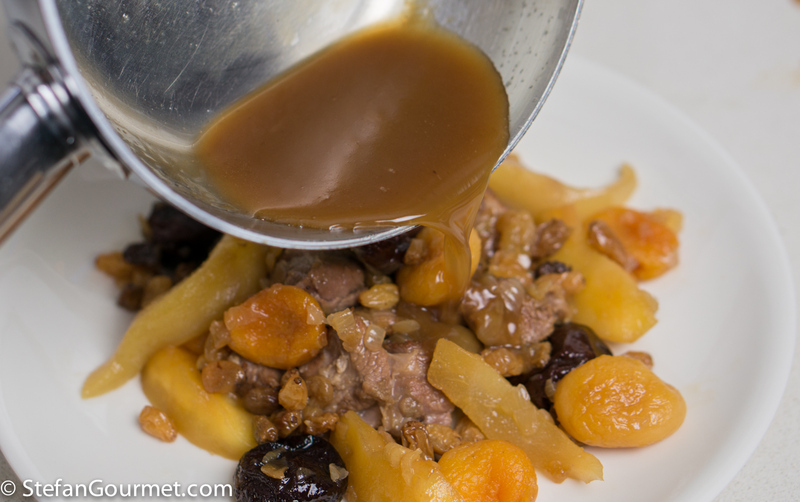 Lham (meat) Lahlou (sweet) is lamb stewed in a sweet syrup with fruit and spices. Of course I could not resist to prepare it sous-vide, and it turned out delicious. Merci beaucoup, Linda, for introducing this wonderful this to me! Since the post by La Petite Panière was the first time I ever heard about this dish, I googled it and compared many recipes (most of them in French). I noticed that the amount of sugar varied between recipes. Since I thought it was exotic to prepare lamb in a sweet syrup as it was, I decided to use a moderate amount of sugar for my first try. I think this has been a wise decision, because the mild sweetness worked very well. 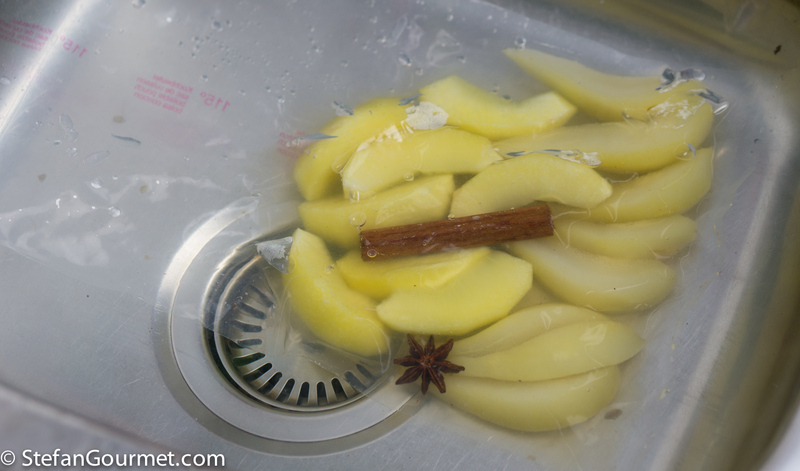 In the traditional preparation, the fresh fruit (apples and pears), if used, are added at the end so they are not cooked to mush. 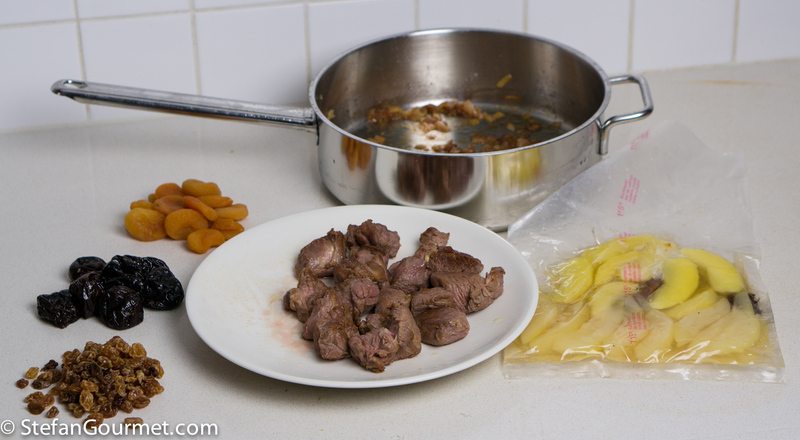 With sous-vide cooking things are a bit different. 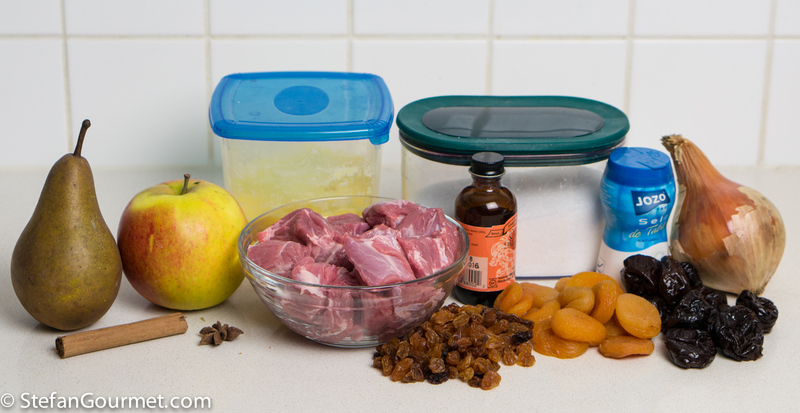 The lamb should be cooked at 57°C/135°F for 24 hours, but at that temperature the apples and pears won’t get tender. 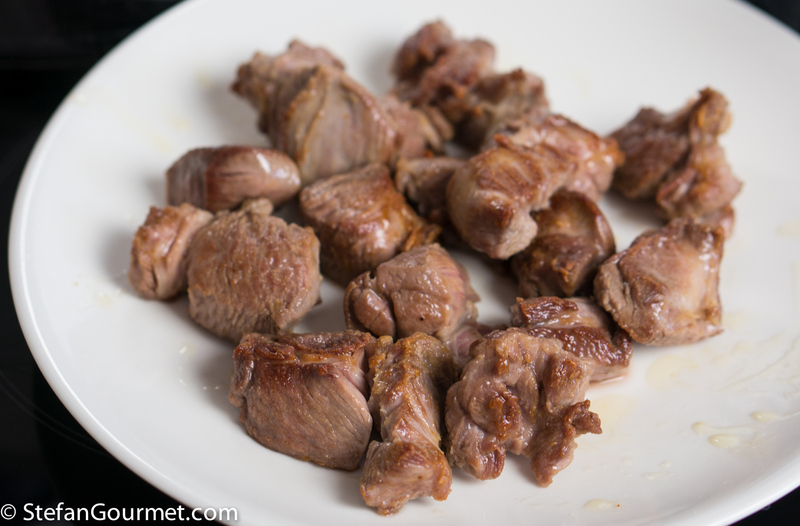 So I cooked them first, at 84°C/183°F, and then added them to the meat to allow the flavors to blend. 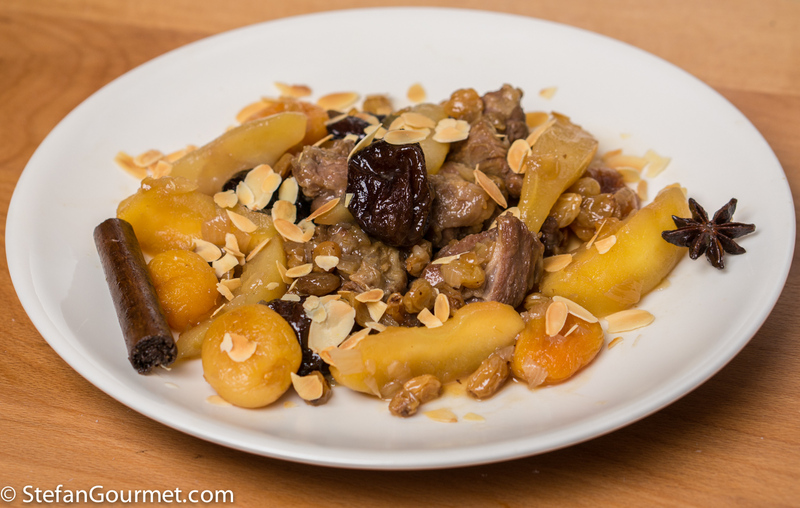 This worked very well, as the lamb was tender and juicy and the fruit still had a bit of bite. Finally, a note about orange blossom water. This is available in two kinds. ‘Real’ orange blossom water is water-based and quite thin, you need a lot of it (think 250 ml/1 cup). The other type is orange blossom concentrate, which is alcohol based. 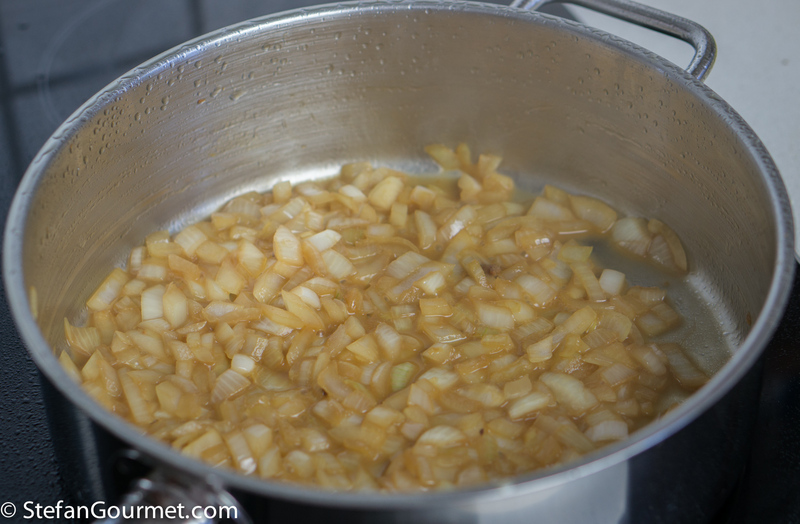 Of this you only need a little (think 1 tsp or 1 Tbsp). Peel and core 1 apple and 1 pear, and cut into 8 wedges each. Vacuum seal the apple and pear with 1 cinnamon stick, 1 star anise, 50 grams (1/4 cup) sugar, and 5 Tbsp orange blossom water (or 1 Tbsp alchohol-based orange blossom water concentrate + 4 Tbsp water). 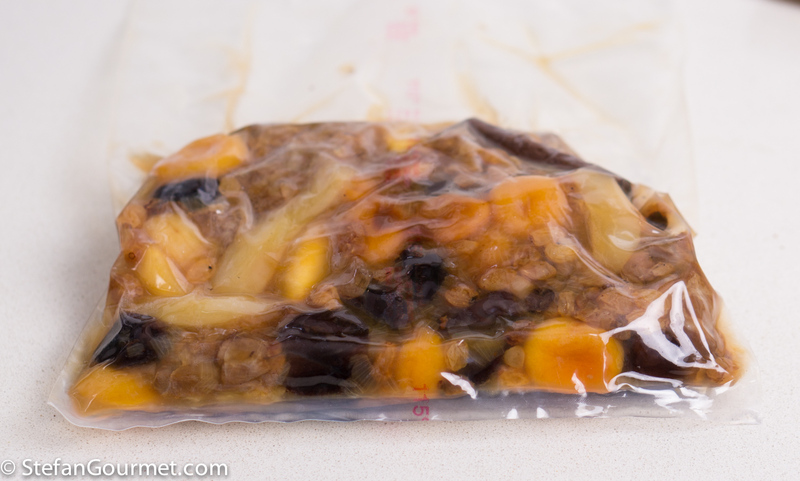 Use a chamber vacuum sealer, or a ziploc bag and the water displacement method. Cook sous-vide for 30 minutes at 84°C/183°F. 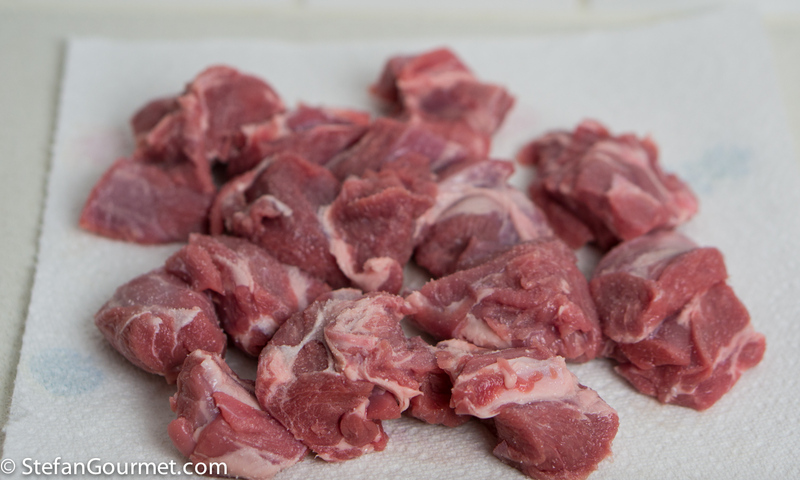 Meanwhile, cut 400 grams (.9 lb) lamb stewing meat into 5 cm (2″) pieces, and season generously with salt. 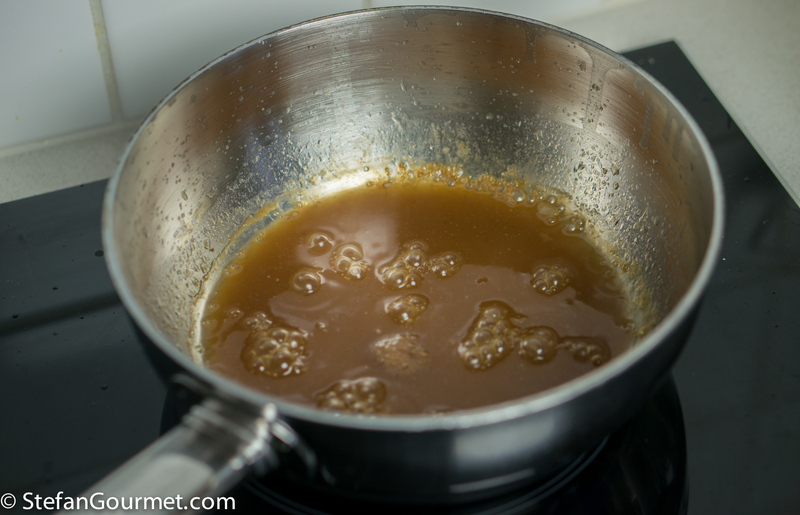 Heat 2 Tbsp clarified butter in a frying pan. When the butter is very hot, add the lamb. Brown the lamb on all sides over high heat. 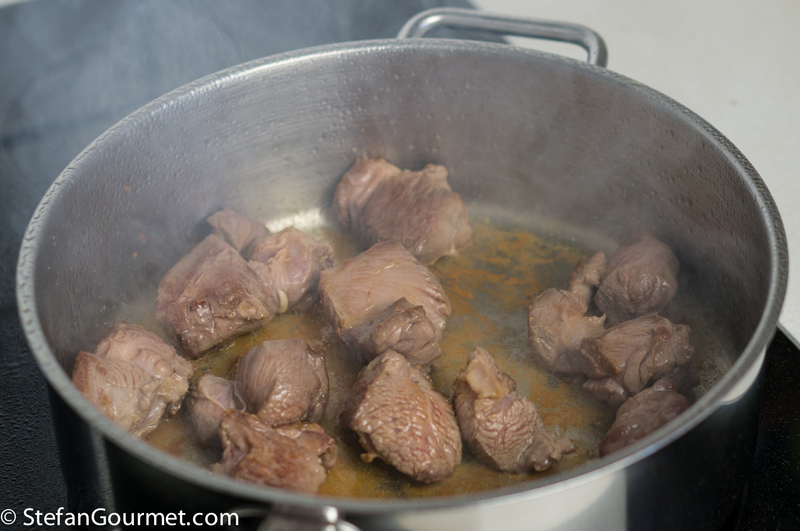 Then turn off the heat and remove the lamb with a strainer. Allow the lamb to cool in a single layer. 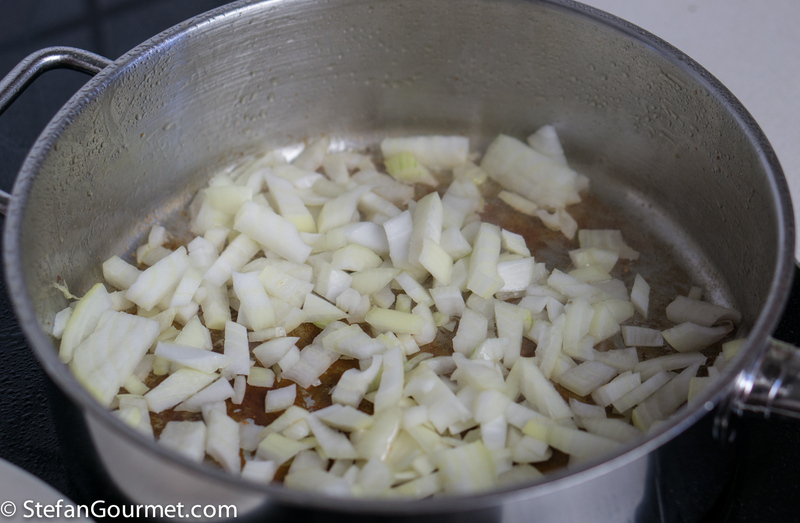 Add 1 minced onion to the fat remaining in the frying pan over medium heat. Add 60 ml (1/4 cup) of water. 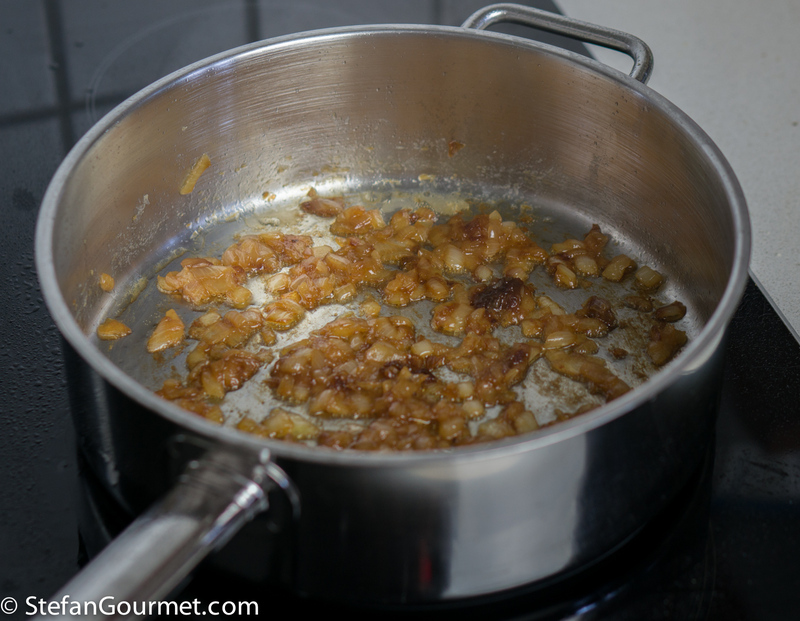 Stir with a wooden spatula to include the browned bits that are stuck to the bottom. 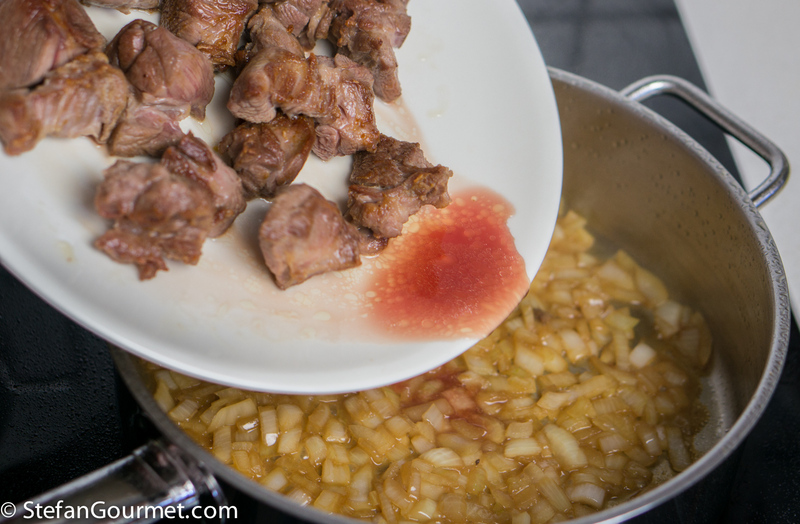 Add the juices that have leaked from the browned lamb as well. Cook over low heat, stirring now and then to prevent the onion from burning, until the onion is nicely browned and falling apart, about 30 minutes. 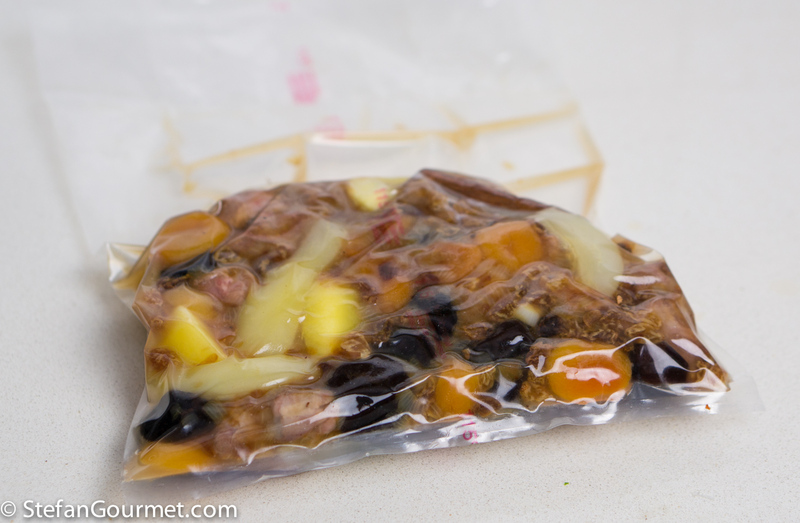 When the apple and pear have cooked sous-vide for 30 minutes, take the bag out of the sous-vide and plunge the bag in cold water so the contents can cool off. 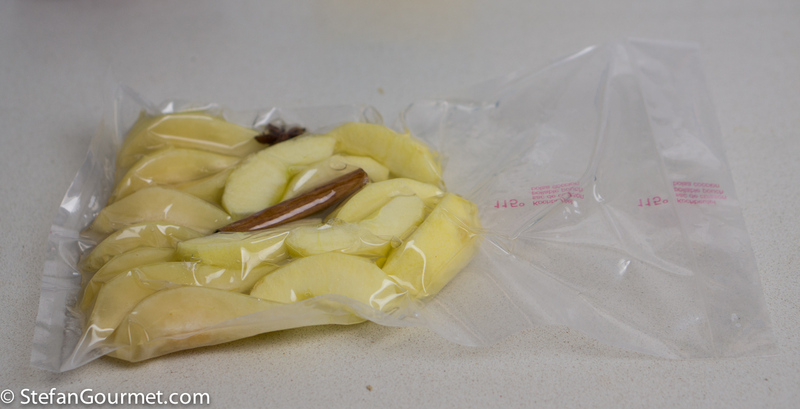 Vacuum seal all of this together, including the juices from the apple and pear, in a chamber vacuum sealer or in a ziploc bag using the water displacement method. 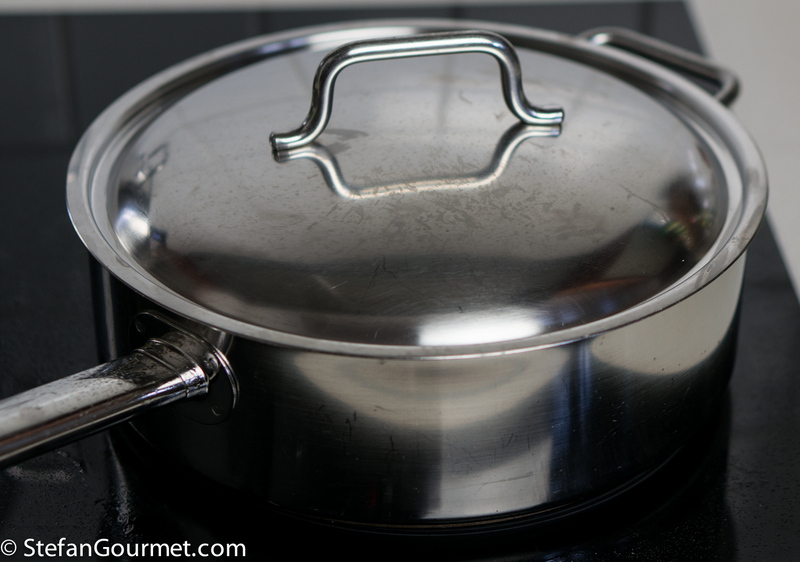 When you are ready to serve, strain the juices into a saucepan. 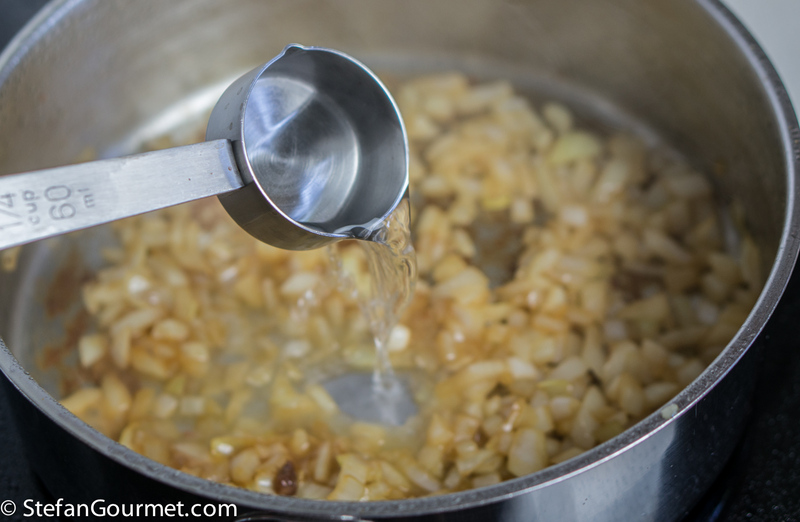 Reduce the juices in the saucepan over medium heat. 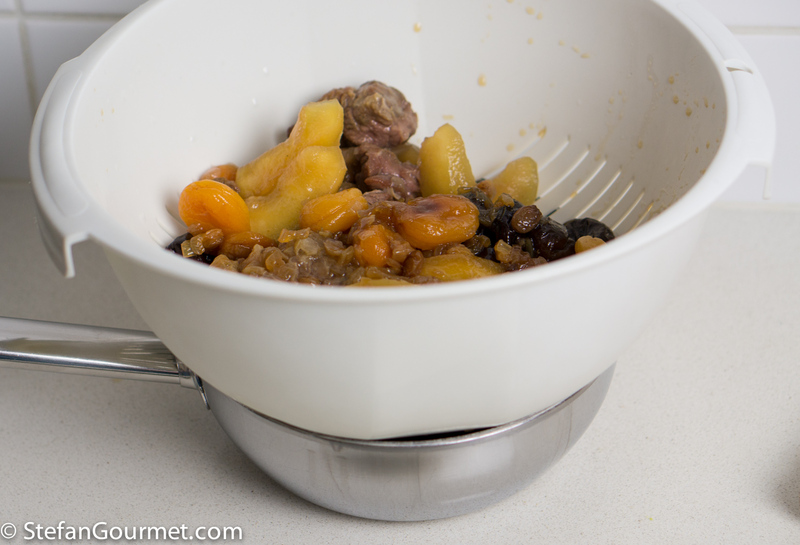 Arrange the lamb and the fruit on preheated plates, and pour the reduced juices on top. Garnish with toasted slivered almonds, and serve. 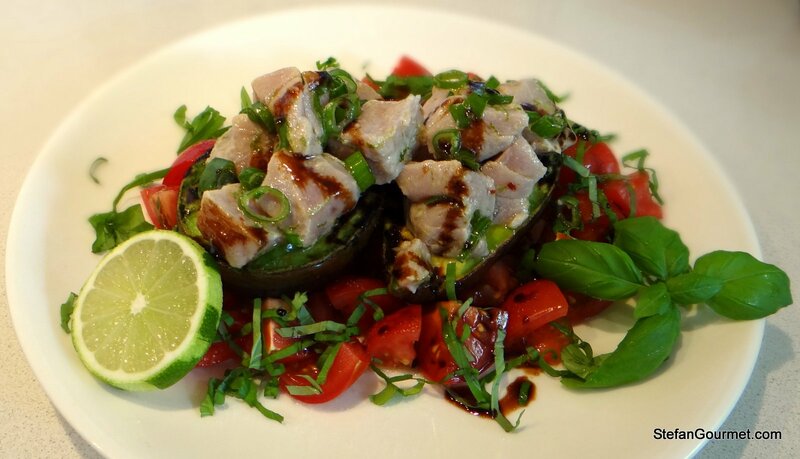 Tuna with grilled avocado is a great summer dish. Grilling is a great way to serve an avocado that is not very ripe. Questo piatto mi ricorda proprio le fiabe di Andersen! Oh yum!! [Yes, I know you will not like that word!!] This I have to try soonest! Have cooked Moroccan for decades as have many of us . . . began finding more subtle and very delicious Tunisian recipes awhile back which I actually prefer . . .have never cooked anything ‘officially’ Algerian, tho’ Sawsan may have ‘put’ a few recipes in my file . . .but this suits to the ground tho’ there will be a ‘small’ change in method 🙂 ! Like the sited blog also . . . Nothing wrong with “yum” 🙂 that’s what I like to hear when people taste (or see) my food. I am so glad and happy to hear that the Lham Lahlou has turned out well, and that you have enjoyed this dish Stefan 😀 I loved your stellar presentation (especially the added toasted almonds). You made a right choice by putting less sugar, as it would have otherwise tasted too sweet! I am also amazed at how perfectly you have explained the recipe (with all of the step-by-step pictures), making it so much easier for others to make! Bravo & Merci 🙂 !! Very glad to read you approve! This was my first time ever to cook anything from Algeria. This is a recipe I have booked in. Not just a wait list. 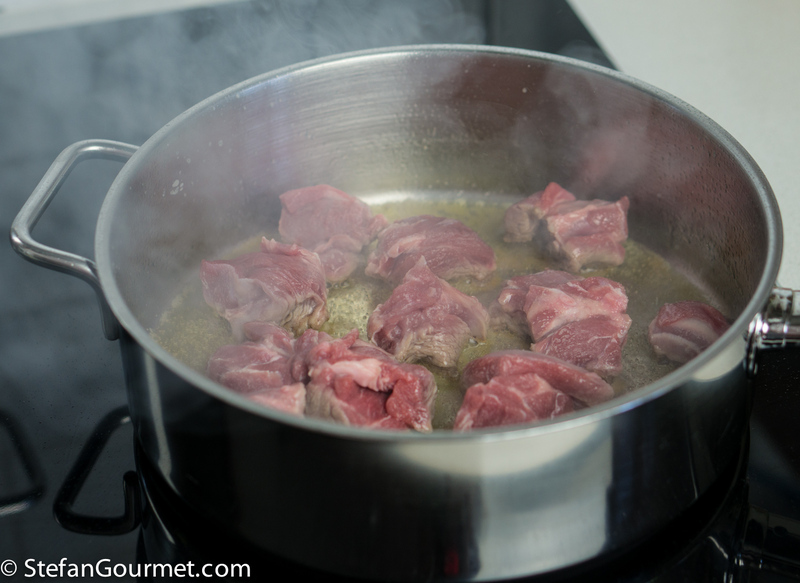 Right now my sous vide is on lamb shanks a la Stefan. (Yet again.) Perhaps there will be a market for sous vide with recipes built in! You mean with menu settings “lamb shank”, “pork shoulder”, “short ribs”, “salmon”, etc.? I did not come back and note that I made this – 36 hours was good for the lamb I had. Missed out the dried plums. A very interesting taste experience. Not sure whether one would have known right off it was lamb? Well worth trying – even for the sous vide techniques.